Why is the Washington Post attacking entrepreneurship? 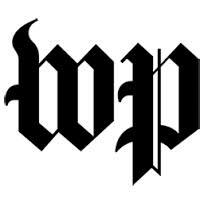 Any lingering hopes that Jeff Bezos’ purchase of the Washington Post would lead to a more rational and true journalistic approach from the “national paper of record” have been dashed to pieces over the last several months. But nowhere has there been a better example of the raw, leftist propaganda being peddled as “news” than the Economy & Business page of this past Saturday’s print edition. There is very little “news” on the entire page. But, there are repeated points of propaganda and outright Alinsky-inspired taunts all designed to advance the agenda of the collectivist status quo. To call this a “business page” is the ultimate newspeak of Orwellian fame. Starting off, an article is presented with the headline, “Franchise owners fear losing their say.” The crux of the issue, according to the Post is that, ”Small franchise owners… are getting swept up in a national push for improving how employees at workplaces such as McDonald’s are treated — and in particular how much they get paid.” Sounds reasonable, right? Poor franchise owners are just collateral damage to the alleged higher purpose. But is it a noble cause for which these aspiring bourgeoisie should gladly sacrifice themselves? It isn’t. The Post reporter has “framed” the story from the point of view of the union organizer who wants nothing more than dues money and the political power that comes with them. And, of course, Obama’s National Labor Relations Board playing the role of strong-arm thug threatening tens of thousands of franchise owners through dubious regulations is hardly mentioned. One important fact is mentioned, a fact that has importance to the second article. The writer notes that people “of color” make up a disproportionate share of franchise owners. So we are left to infer that the franchise system has allowed a “disproportionate” number of minority citizens to establish and run successful businesses and that it will be seriously harmed because Obama and the Marxist organizers at the SEIU want it that way. But how does the attack on franchise owners and that the fact that those business owners are disproportionately minority have an impact on the second story? Well, the second story is a glowing reprint of a government press release from the wasteful and needless Small Business Administration announcing the launch of a national campaign to “promote entrepreneurship education among young men of color.” Let that sink in a minute. On the one hand the government is backing union (former ACORN) thugs to destroy the franchise business – disproportionately owned by minority citizens – while on the other, they are asserting that the government can teach a young minority person how to be an entrepreneur. Come on. If the government really gave two flying figs about teaching minority youth about entrepreneurship they would do everything in their power to encourage more franchise owners. More owners mean more jobs. And when it comes to the ethic of building businesses, the only real training is on-the-job training. But instead, the Obama regime is threatening the very existence of franchise owners while asserting that only government can teach young people something of which they know absolutely nothing. His is the standard monetarist credo only on steroids. Take more risk, he says. Stop whining, he demands. But his leftist diatribe, while echoing the desires of the international bankers and the Federal Reserve, ignores the simple fact that nothing happens without capital. And real capital comes from savings, not from the printing presses of the Fed. So, look at this one page. Attack savings and capital formation and substitute it with risk and debt while piling on rules against struggling business owners, and all the while asserting that only government knows anything about building a business. Propaganda is too weak a word. But the editor’s job is secure. He can always go to Havana; he would fit right in.